J Williams & Co work with a variety of businesses in different industries and services. We understand what it takes to stay on top of your accounts and run your own business. Xero Cloud Accounting allows you to access your accounts, anywhere! It’s a secure and simple way to streamline your accounting across multiple devices – whether you’re at work, at home or on the road. Xero Cloud Accounting usually costs £22 a month + VAT (depending on your requirements) – plus we can handle the entire migration process for you. Why choose J Williams & Co. for your Xero Accounting? We earned our Silver Partner Status in just 5 months. We’re ‘Making Tax Digital’ ready. We’re certified in Xero migration – doing the hard work for you. If you would more information on our accounting services or would like to schedule a free consultation please call or complete our contact form. We will soon get back to you for a friendly, no-obligation conversation about how we can help your business with a wide range of financial services. We provide accounting to small businesses, sole traders and individuals in the Portsmouth area. Need an online accountant in Chichester? 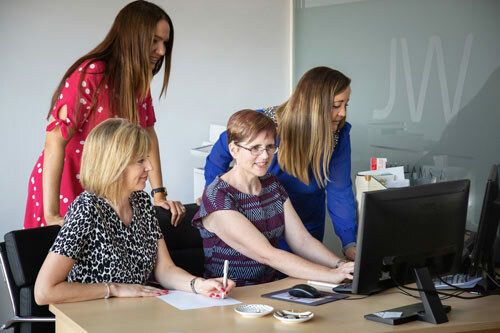 J Williams & Co are experts in Xero cloud accounting.